A content marketing strategy needs to involve different content types to stay fresh and creative. That’s how social media becomes a useful channel to test new ideas. 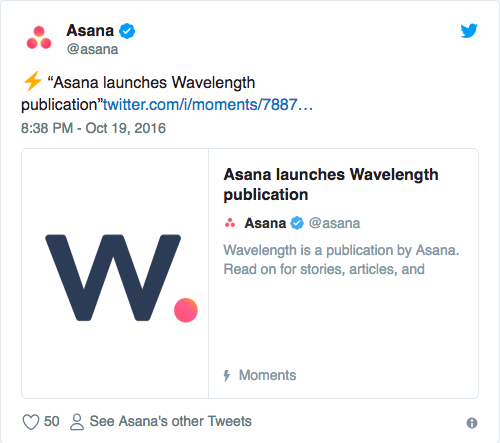 Twitter Moments are one of these great ways to add an additional creative element to your content marketing strategy without spending much time or resources in them. You’ve probably seen Twitter Moments. They are the stories of collected tweets with a ⚡ sign along with them. They can be used in numerous ways and it makes it easy for you to keep track of what’s going on. They make a quick and easy way to consume content through your mobile to access a story that’s relevant for you. It is estimated that 80% of Twitter users access the app through their phones. This makes Moments a great way to tap into an audience that wants to see a group of tweets that are both interesting and appealing to them. Except for the personal use, they can also be helpful for your content marketing strategy. Their easy, interactive, and engaging format can be of great use in your strategy. What makes Twitter Moments so interesting for marketers then? Make your blog more interesting: your tweets can easily be embedded in your blog, which makes them last longer while your content gets an additional visual element. 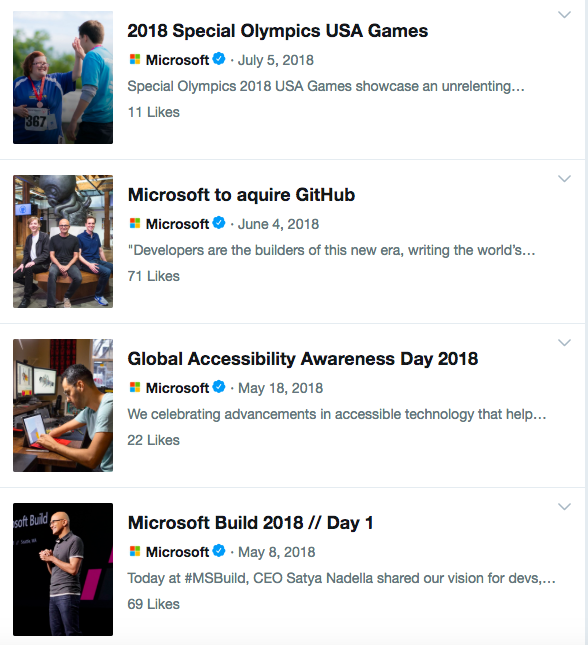 If you want to feel inspired by the best ways to use Twitter Moments in your content marketing strategy, here are six examples. Twitter Moments can help you be more creative while promoting your brand’s message. You can reach a larger audience and you can also use the content in other marketing channels. Your Twitter Moments are not only useful for the promotion of your story, but they can also be used as a source of inspiration. You can organise tweets that help the research on your next topic to keep them all in one place. Moreover, you can source new ideas to keep them all in one Twitter Moment. Twitter allows you to share your Moments privately. This makes your Moment visible only to people who have the URL and it’s not published on your Twitter profile page. A good way to share your older posts with a new perspective is to create Twitter Moments that include them. It can be a recap of a particular story (e.g. Facebook’s algorithm change), or a grouping of tweets around a particular topic (e.g. your recent posts on content marketing and why it becomes more important than ever). This way you’re reminding your audience of your great posts without being repetitive. Moreover, you’re testing your creative skills, while you can also include the tweets in a newsletter you may be planning or a new blog post. Another good use of Twitter Moments is to highlight your positive customer stories. Whether they are case studies or testimonials, you can promote your success in a way that’s more creative than a single tweet. It can also serve as a good start of your advertising strategy on Twitter and it’s also good that Twitter Moments stay on your profile for a longer period than a typical tweet. This is another channel to highlight your success, your great clients and how you can help your prospects get better in their business. In a similar angle, you can use Twitter Moments to share your product and company announcements. Twitter can turn into a more creative attempt to present a different kind of announcement that has more chances to grab your audience’s attention. It’s common for many brands to use Twitter Moments to cover an event or a recent big story. This is a clever way to collect tweets that are relevant to your audience. You are able to comment on a big story and tap into conversations to show your brand’s social side. If your company recently held an event, a Twitter Moment can offer the best recap of it to give a glimpse of what happened to everyone who didn’t attend. 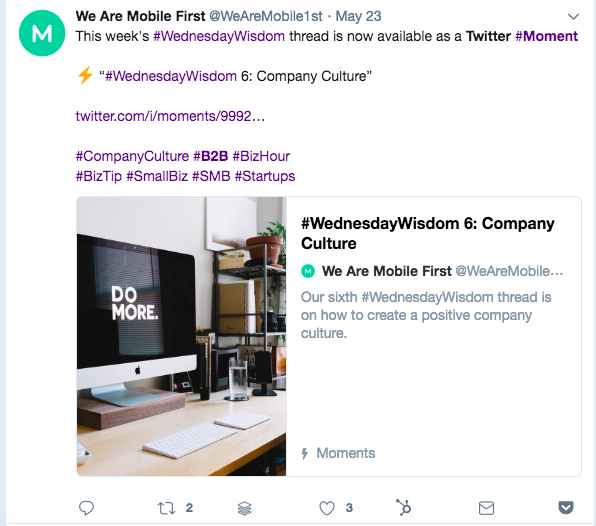 Or you can create a Twitter Moment that involves tweets from the attendees to thank them for coming over and strengthen the relationship with them. 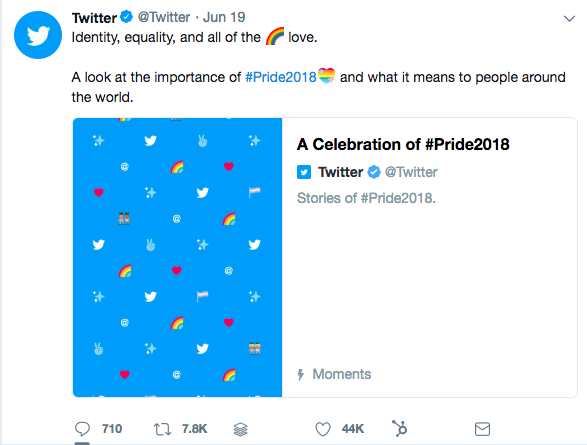 What makes these uses of Twitter Moments common is the fact that they provide a visual element to your audience without necessarily spending much time on it. Thus, you’re managing to boost both your reach and your engagement at the same time, while you can still use your Moments in multiple channels. One of the best ways to use Twitter Moments is to become more creative with your storytelling. You can build a clear narrative with a series of tweets, mixing text, images, and videos to focus on a story and the message that you want to tell. The story can be promotional, inspirational or even more general one, but it should still involve the narrative that will encourage people to check it. Think of your audience and the way they consume content through mobile and create a Moment that will be both appealing and interesting for them. Storytelling can help multiple purposes and it doesn’t have to be time consuming all the time. Twitter Moments are interactive and engaging, while they also don’t require much time to create them. 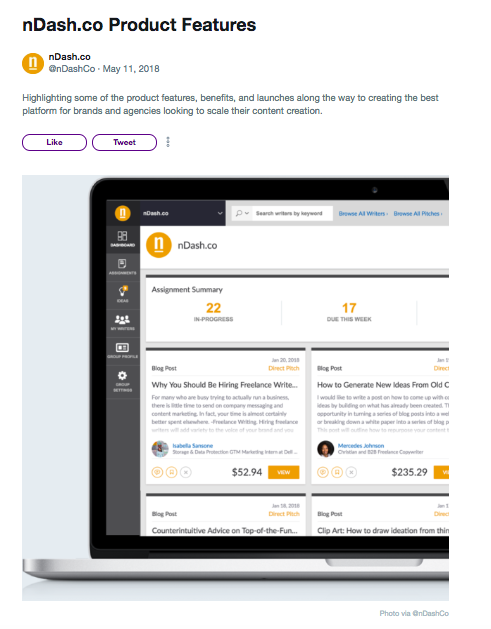 They can help you boost your Twitter presence by increasing your reach and your engagement and they can also help you improve your content marketing strategy. Whether you use them for research purposes, the promotion of your older content, or a creative way to tell your story, there’s always a new way to test your content messages. The more creative and organised you get, the higher the chances to enjoy the use of a new channel (or feature) in your content marketing strategy. Editor’s Note: This post was written by nDash community member Tereza Litsa. Tereza is the Social Media Manager ate Lightful, helping charities transform how they do digital and build meaningful relationships with their supporters. She’s passionate about anything digital, with a keen interest in content writing, social media, and marketing. To learn more about Tereza, or to have her write for your brand, check out her nDash profile page.